The Austrian government of Prime Minister Alexander Kurz was elected on a platform of stopping the mass immigration to the country and reducing benefits for anyone not willing to adapt to the ‘cultural’ standards of the middle European country. In this respect, the coalition of Mr. Kurz’s conservative People’s Party together with the right-wing Freedom Party of Austria has since implemented tough new conditions for migrants: reduced benefits for those who do not speak German and forced deportation for those that do not find employment after a certain number of years. Last week, 6 immigrants (5 Afghans and 1 Iraqi) had been sent to the holding center in Josefstadt, Vienna, to await deportation planned for the next morning. Related coverage: <a href="https://thegoldwater.com/news/23398-Austria-Government-Calls-For-Investigation-As-Children-March-In-Military-Uniform-In-Mosque"> Austria - Government Calls For Investigation As Children March In Military Uniform In Mosque</a>. However, knowing that they would be sent back to their respective countries of origin, the men choose to set fire to their mattresses. The intense smoke that resulted injured more than a dozen people and forced nearby houses to be evacuated. 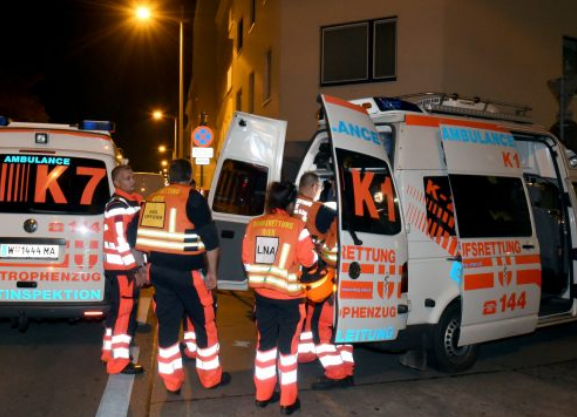 The six men that were scheduled to be deported from Austria the next morning were then brought to local hospitals in critical condition late on Friday. According to local Viennese media, they had all signed a suicide note, claiming that they would rather die than to be sent back. The events took place around 10:30 pm local time on Friday evening. The fire alarm went off at the facility in the Josefstadt district of Vienna and guards rushed to the scene. Arriving there, they found at least one of the men motionless by the cell door. However, the smoke was already too thick to try and rescue the others. Some 40 other inmates had to be evacuated, and 14 of them were treated for smoke inhalation (as were several police officers and guards). Austrian daily Heute later confirmed that the five Afghans and one Iranian, all between the ages of 19 and 33, had set the mattresses in their cells on fire. A note indicated that they would rather die in Austria than be deported to their homelands. The detention facility in Josefstadt has been the site of several hunger strikes already as well as previous attempts at self-immolation by refugees waiting to be deported. Should have just surrounded it, made sure they stayed while it burned. Any who survived get to sleep in the wreckage left behind and learn that that there are no second chances. If it rains, that's their problem for burning the place down. They can discover the fun of winter exposure too.